DESCRIPTION OF THE BOOK: Can you walk and talk at the same time? How about Jabberwalk? Can you write and draw and walk and journal all at the same time? If not, you’re in luck: exuberant, blue-cheesy cilantro man Juan Felipe Herrera, Poet Laureate of the United States, is here to teach you everything he knows about being a real-life, bonified, Jabberwalking poet! Jabberwalkers write and speak for themselves and others no matter where their feet may take them — to Jabberwalk is to be a poet on the move. And there’s no stopping once you’re a Jabberwalker, writing fast, fast, fast, scribble-poem-burbles-on-the-run. Scribble what you see! Scribble what you hear! It’s all out there — vámonos! Juan Felipe Herrera, the first Mexican-American Poet Laureate in the USA, is sharing secrets: how to turn your wonder at the world around you into weird, wild, incandescent poetry. MY TWO CENTS: JabberWalking is about a poet who walks and talks, and moves and jives, and does all things at once, and sometimes not at all. Juan Felipe Herrera is the son of migrant farmworkers, MFA graduate of the University of Iowa, and was the 2015 Poet Laureate of the United States. His own story of JabbberWalking through life as a poet, is vivid within the pages of this poetry book. The book describes a Jabber Walker as a person who moves to their own beat and speaks and writes for themselves. It is a book of the colorful life of a poet who does not color inside the lines. It’s important to note that this book must be read aloud. Herrera brings us back to a place where reading poems on paper is too comfortable and does nothing for the flourishing mind. When the reader speaks JabberWalking into existence, it changes the entire meaning of the book. Suddenly, we’re running down streets, picking up guitars, running to grab our diploma, and wondering why our dog is so distracted by a squirrel! Did you SEE it? Squirrel! Only the dog did. Come BACK here, LoTus! My favorite parts are when the Jabber Walker slows down in the Jabber Notebook. It’s a journal entry of sorts and a reflection that sums up the unconventional chapters throughout the book. The font changes often, creating the movement of both the poem and the poet. In the Jabber Notebook the font is steady. The words come alive in an entirely different way. This section, in each chapter, can be read aloud or to oneself. The reader will find a calming joy in these snippets before it’s time to get up out of our chair and transcend time again. The doodles take me back to those of John Lennon and Shel Silverstein’s sidewalk series. The playful manner of the words reminds me of Dr. Seuss. JabberWalking is where Latinxs can find themselves in the pages between the universe and Laurette status. 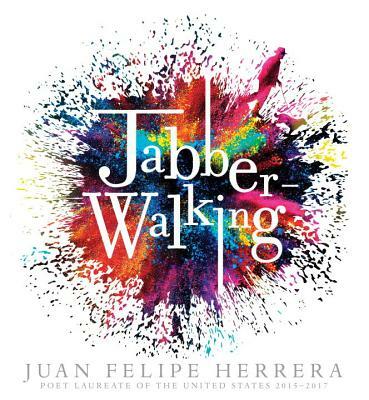 Although JabberWalking is an entirely different poetic animal, I feel that those readers who grow up with parents who are keenly aware of the literary canon, will find a desire to be more poetically adventurous when they read Juan Felipe Herrera’s JabberWalking. Imagine a world where you Jabber Talk, Jabber Think, Jabber Write, and Jabber Walk. Great Jabber, in the pages of JabberWalking,you will find a new way to walk, bounce, speak, throw down a beat, and doodle to the beat of your own drum. Herrera’s narrative is timeless and one the entire family can and will enjoy. ABOUT THE AUTHOR: Juan Felipe Herrera is a poet, performance artist, and activist. The son of migrant farm workers, he was the U.S. Poet Laureate from 2015–2017. Herrera has published more than a dozen collections of poetry, in addition to short stories, young adult novels, and children’s literature. Juan Felipe Herrera lives in California. 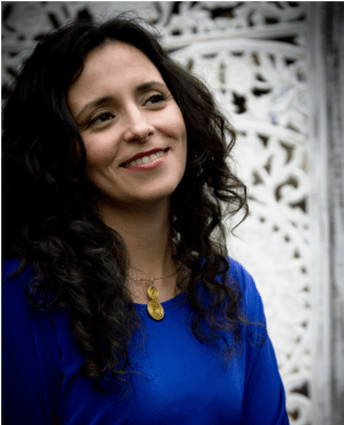 ABOUT THE REVIEWER: Carolina Hinojosa-Cisneros is a Tejana poet, freelance writer, and speaker. 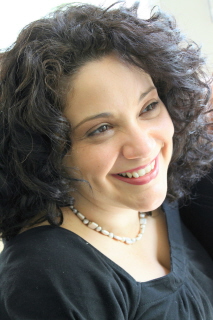 Her work focuses on faith and Latinidad. Both her poetry and essays can be found in On Being, The Rumpus, The Acentos Review, Christianity Today, Rock & Sling, and many others. Hinojosa-Cisneros is a regular contributor at The Mudroom and is a first-year grad student at Our Lady of the Lake University in San Antonio, TX. Additionally, she holds a BA in English from the University of Texas at San Antonio. When she is not writing, she can be found growing nopalitos at her home in San Antonio, Texas. This is the first in an occasional series about middle grade Latinx authors. We decided to shine a spotlight on middle grade writers and their novels because, often, they are “stuck in the middle”–sandwiched between and overlooked for picture books and young adult novels. The middle grades are a crucial time in child development socially, emotionally, and academically. The books that speak to these young readers tend to have lots of heart and great voices that capture all that is awkward and brilliant about that time. 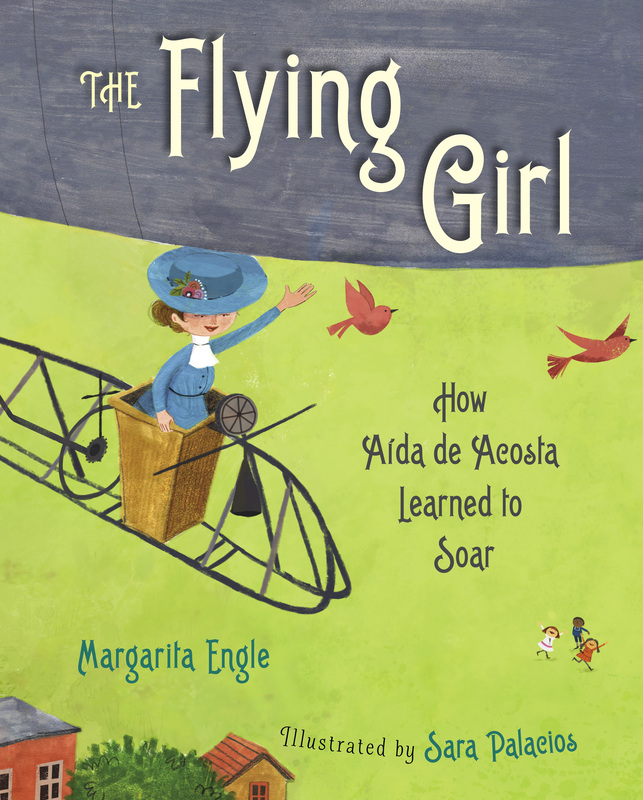 Today, we highlight Margarita Engle, a Cuban-American author who is one of the most prolific and decorated writers in Kid Lit. A. I have been writing poetry since I was a small child, so I think my passion for composing verses grew naturally from loving to read. It was not something I consciously decided to try, just something I did the way I ate, slept, and breathed. As a teenager, I did make a conscious decision to try writing fiction, and I began to dream of someday writing a book about the history of Cuba. That finally happened, but not until I was in my 50s. The Poet Slave of Cuba was published in 2006, and The Surrender Tree in 2008, launching a long series of verse novels about Cuban history. 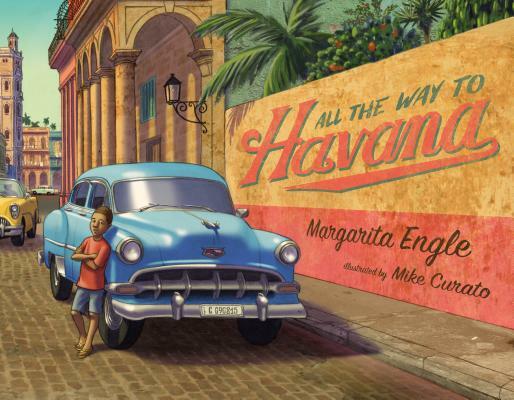 By then, I had already published a great deal of poetry, technical botanical and agricultural articles, and a couple of adult novels about modern Cuba, but I have never been happier than when I write for children. A. Most of my middle grade novels tend toward the tween end of the age range, perhaps because I was eleven in 1962, at the time of the Missile Crisis. Losing the right to travel to Cuba was a traumatic, surrealistic experience. I believe that a part of myself was frozen at that age, and did not thaw until 1991, when I was finally able to start visiting again. Now, I love to write for children who crave adventure, and still believe in the wonder of nature, children who are not yet embarrassed to love their families, even though they dream of independence. A. There are so many! How can I choose? I’ll try, with apologies to all the fantastic authors I’m leaving out. Some of my favorite middle grade books are actually memoirs, rather than fiction. I love Alma Flor Ada’s Island Treasures, Jacqueline Woodson’s Brown Girl Dreaming, and Marilyn Nelson’s How I Discovered Poetry. 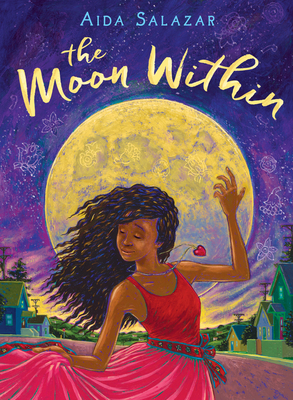 For fiction, most of my favorite middle grade novels are written in verse: Inside Out and Back Again, by Thanhha Lai, Under the Mesquite, by Guadalupe García McCall, and Words With Wings by Nikki Grimes. I love books that travel to other countries, so I’ll sneak in Solo by Kwame Alexander and A Time to Dance by Padma Venkatraman, even though they lean toward YA. If I had to choose one middle grade prose novel, it would be the very poetic Echo, by Pam Muñoz Ryan. A. Don’t be so self-critical. It’s okay to be a bookworm. Stop trying to please everyone else. Just be yourself. A. Middle grade novels are important because that is the age when children are imaginative, wonder-filled, curious, and open to learning about the whole world. 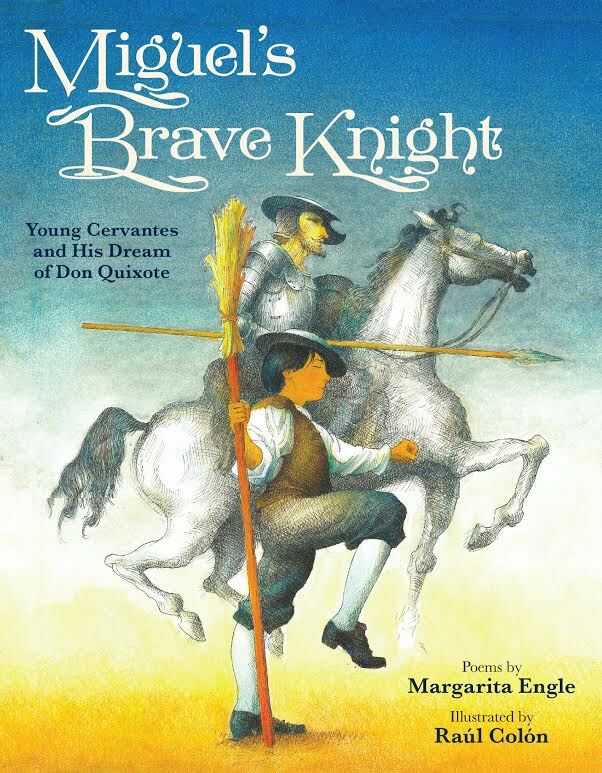 Margarita’s newest verse novel about Cuba is Forest World, and her newest picture books are All the Way to Havana, and Miguel’s Brave Knight, Young Cervantes and His Dream of Don Quixote. Poetry is where I live. It is where I go when I am most wounded. Poetry is the place I hide when I am most vulnerable, but it is also the cloak I wrap around myself when I know I have to speak up because I have something important to say. Poetry gives voice to my fears. It allows me to express my concerns with bold and powerful words. I can say more with one line of poetry than I can with a paragraph because poetry lets me cut to the core. Poetry is my corazón, my coraje, my fuerza. So it came as no surprise to me that when the child of my heart, my beloved Joaquín del Toro, the embodiment of the men in my life, my courageous father, my brave husband, and my own three daring sons, first spoke to me, he spoke to me in verse. The night I read Dr. Benjamin Johnson’s book, Revolution in Texas, I heard Joaquín’s voice for the first time. The first poem I wrote that night, among many others, was “Tejano,” which is the poem that opens my third novel, Shame the Stars. It is a poem that speaks to the anger and frustration the people of south Texas must have felt as they watched their families and friends being subjugated, suppressed, and supplanted. It also came as no surprise to me when the first draft of the original manuscript developed in verse. Poetry was the best way I could express myself as I tried to tell the story of Joaquín and Dulceña. It was the only way I could deal with the atrocities committed against our community the summer of 1915, when Texas lawmen declared war against Mexicans and Tejanos, summarily rounding up, lynching, and fusillading them without the benefit of legal proceedings, a dark time that is now referred to as La Matanza (The Slaughter). As I did more research, the things I learned helped expand and shape the storyline. My editor at Tu Books, Stacy Whitman, believed Joaquín’s voice was trying to break free of the constraints of the formatting. She was right about that. Poetry had created what my esteemed MFA professor at UTEP, Sasha Pimentel, calls “a very tight corset,” which I think is appropriate for a reimagining of Romeo and Juliet, but which I have to admit, had become too restrictive for the novel. 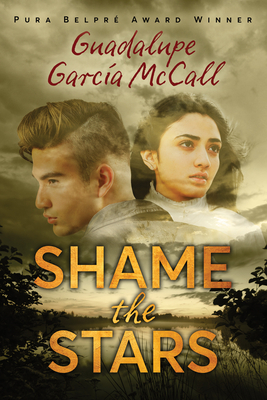 As I revised Shame the Stars and Joaquín got wiser, as he became more outspoken, I had to cut him loose. Over a long period of months, I rewrote the entire novel-in-verse, turning the main narrative into prose. I let Joaquín breathe by allowing him access to the rest of the page. However, I just couldn’t let his poetic heart go unheard. So I left Joaquín’s most passionate poems intact and even created new, more rebellious poems to express his pain, his sorrow, his heartbreak. I hope Joaquín’s poems live on for many years to come. I hope they enlighten, embolden, and emphasize just how important our voices are and let everyone know we must stand up and speak up if we want to be heard. Poetry can be beautiful. It can be lyrical and magical and romantic, and that’s wonderful, but I hope my fans understand that poetry must also be strong and firm and sturdy if it is to bring us to light and to sight. A poem must have grit; it must push and shove and grind if it is going to propel us to change, to persist, to strive. ABOUT THE AUTHOR: Guadalupe Garcia McCall is the author of Under the Mesquite (Lee & Low Books), a novel in verse. Under the Mesquite received the prestigious Pura Belpre Author Award, was a William C. Morris Finalist, received the Lee Bennett Hopkins/International Literacy Promising Poet Award, the Tomas Rivera Children’s Book Award, and was included in Kirkus Review’s Best Teen Books of 2011, among many other accolades. Her second novel, Summer of the Mariposas (Tu Books, an imprint of Lee & Low Books), won a Westchester Young Adult Fiction award, was a finalist for the Andre Norton Award for Young Adult Science Fiction and Fantasy, was included in the 2013 Amelia Bloomer Project List, the Texas Lone Star Reading List, and the 2012 School Library Journal’s Best Books of the Year. Her poems for children have appeared in The Poetry Friday Anthology, The Poetry Friday Anthology for Middle School, and The Poetry Friday Anthology for Science. Ms. Garcia McCall was born in Piedras Negras, Coahuila, Mexico. She immigrated with her family to the United States when she was six years old and grew up in Eagle Pass, Texas (the setting of both her novels and most of her poems). She is currently a high school English teacher in San Antonio. Leading up to the event, we will be highlighting the winners of the narrative and illustration awards. Today’s spotlight is on The Dreamer by Pam Muñoz Ryan, winner of the 2011 Pura Belpré Narrative Award. We have already highlighted Esperanza Rising, which won the 2002 Narrative Award. DESCRIPTION (from Goodreads): Neftali finds beauty and wonder everywhere: in the oily colors of mud puddles; a lost glove, sailing on the wind; the music of birds and language. He loves to collect treasures, daydream, and write–pastimes his authoritarian father thinks are for fools. Against all odds, Neftali prevails against his father’s cruelty and his own crippling shyness to become one of the most widely read poets in the world, Pablo Neruda. This moving story about the birth of an artist is also a celebration of childhood, imagination, and the strength of the creative spirit. MY TWO CENTS: As an object, The Dreamer has to be one of the most beautiful books ever created. Every detail—the silver on the cover, the words printed in green, the generous white space on each page and the precise, delicate illustrations by Peter Sís—combine to create a stunning work of art, even before you begin reading. I knew the name Pablo Neruda before I read this book, but other than a few poems from Twenty Love Poems and a Song of Despair, I was not all that familiar with the Chilean poet’s life and work. This book is a fantastic introduction. Ryan is clear in her author’s note that The Dreamer is a work of fiction, and yet it seems perfectly plausible that Neftalí, the fictional main character (Neruda was born Neftalí Reyes and created his pen name as a young man), grew up to be the famous poet whose poems are included at the end of the text. 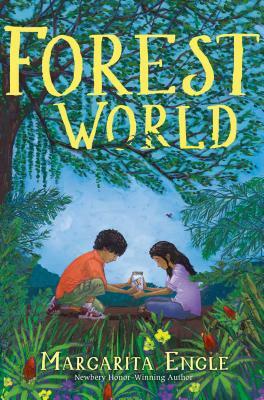 The Dreamer engages all the senses, as Ryan uses onomatopoeia and changing text size to indicate sound and her lush descriptions bring Neftalí and his family to life. Sís alternates between tiny spot drawings that require close scrutiny and sweeping spreads that go right to the edge of the page. The importance that nature holds for Neftalí is reflected in the chapter titles: Rain, Mud, Tree. Some of the most poignant moments come when Neftalí is engaging with the natural world, such as when he hears the chucao bird in the forest and when he tries his best to save a hurt swan in the lagoon. These moments of calm and curiosity are contrasted with his more difficult interactions with people, such as when he stutters to his father and endures abuse from the bully Guillermo. Yet as Neftalí gets older, he finds allies like his Uncle Orlando and his little sister Laurita and eventually has the strength to find ways around his father’s demand that he stop writing poetry. Each chapter ends with an open-ended question, in the same spirit as Neruda’s own question poems that encourages the reader to consider the characters and their choices and actions. Is fire born of words? Or are words born of fire? Where is the heaven of lost stories? Neruda is said to be the most widely translated and well-known poet, not just in Latin-America but throughout the entire world. With this richly imagined childhood, Ryan celebrates the Latino cultural experience of Neruda and his work. Although fictional, The Dreamer captures Neruda’s spirit of wonder, curiosity and love for the world and inspires young readers to look at their surroundings with a poet’s eyes. 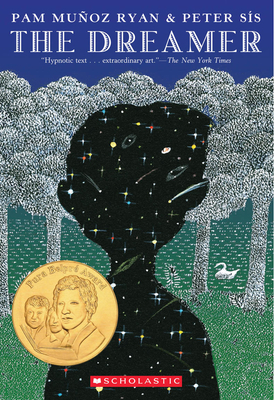 TEACHING TIPS: The Dreamer was published when I was still teaching third grade. I read it aloud to my students, so I can say with confidence that it is a wonderful book to share as a class! This book makes a great read-aloud, as the descriptions and slow pace of the story mean it works better for some readers broken up into smaller pieces. April is Poetry Month, a perfect time to share The Dreamer with students. I used it as the basis for two different poetry lessons, one about Neruda’s odes to objects and one using his Book of Questions poems. The episode from the book with the toy sheep (128-132) is a nice introduction to the importance Neruda placed on everyday objects and several of his odes are reproduced at the end of the book. Students can read these and other odes (or excerpts, as some of them are long) and then either individually or in small groups, write their own odes to objects that they feel are important. With the question poems, I had students discuss them in small groups and then create a dramatic presentation of their poem in any way they chose. If you want to share more of Neruda’s objects with a class, the Fundación Pablo Neruda in Chile has photos of his houses online to look at. 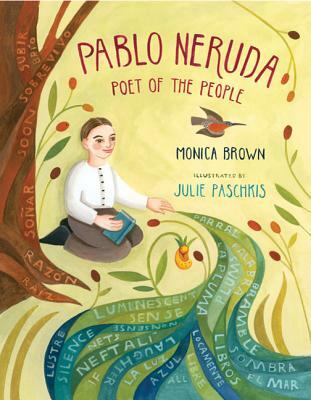 For younger students, Monica Brown’s picture book biography Pablo Neruda: Poet of the People is another good resource for separating fact from fiction. It might be a good idea to begin with Brown’s book as a way of introducing students to Neruda and giving them an overview of his life before starting The Dreamer. Vocabulary is another good activity for this book and students can find new words or make lists of words they think are especially rich and vivid. The setting of Chile, possibly an unfamiliar country to students, is also an opportunity to make geography connections and students could find Temuco, Puerto Saavedra and Santiago de Chile on a map or GoogleEarth. 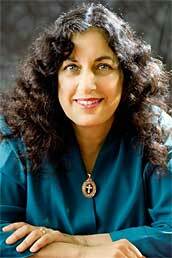 ABOUT THE AUTHOR: Pam Muñoz Ryan, a New York Times Bestselling author, has written over forty books, including the novels Esperanza Rising, Becoming Naomi León, Riding Freedom, Paint the Wind, The Dreamer, and Echo. 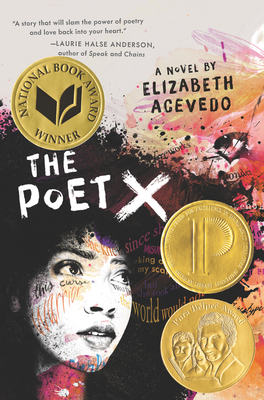 She is the author recipient of the National Education Association’s Civil and Human Rights Award, the Virginia Hamilton Literary Award for Multicultural Literature, the Newbery Honor for Children’s Literature, and is twice the recipient of the Pura Belpré Medal and the Willa Cather Award. Other selected honors include the PEN USA Award, the Américas Award, the Boston Globe-Horn Book Honor, and the Orbis Pictus Award. 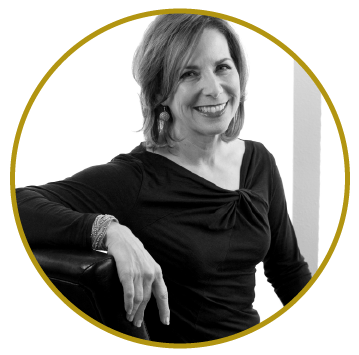 She was born and raised in Bakersfield, California, (formerly Pam Bell) holds a bachelor’s and master’s degree from San Diego State University and lives near San Diego with her family.